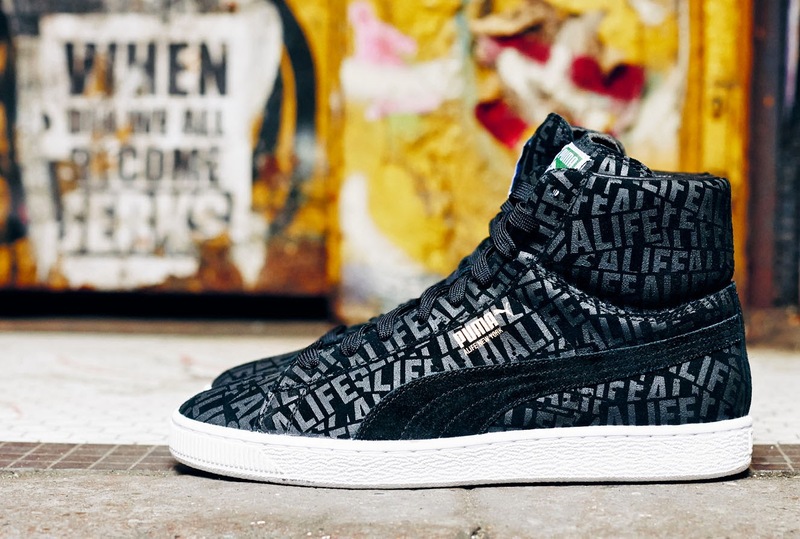 PUMA rekindles its partnership with New York lifestyle concept ALIFE through the release of their highly anticipated collaborative collection for SS’15. Born in ‘99 ALIFE has always aimed to showcase New York City’s downtown youth street culture, focusing on original art and creativity. ALIFE’s concept store is a one of a kind boutique that stocks an impressive collection of new and authentic product that continues to elevate street style to a new level. The brand’s store is also home to the ‘ALIFE Sessions’, a series of ever-growing events with some of the world’s biggest musical artists. The collection seamlessly pulls together ALIFE’s diverse creativity while staying true to PUMA’s heritage. Through apparel, footwear and accessories the collection tells the story of Downtown New York; an integral part of PUMA’s rich street wear history. Bright prints play on key ALIFE landmarks that bring the collection to life. Influences include green photographic stills of the infamous in-store fish tank, and the three-diamond logo of ARC (ALIFE Rivington Club), ALIFE’s members only boutique. The superb footwear offering adopts a similar approach. Classic PUMA Suedes are finished with rough treatment that recalls refer the gritty streets of the lower East Side, whilst iconic runners such as the R698s use repeat print to take inspiration from ALIFE’s in store mirror sign. The PUMA x ALIFE collection will be available in PUMA SELECT stores in Cape Town, Bree Street, and Johannesburg, Braamfontein, as well as X Trend, Dip St Store, Shelflife, Prime, Lyme and Lost Property stores in South Africa from 14 February 2015.